Tome Tender: Love, Christmas - Movies You Love by Multiple Authors, Including Ev Bishop! 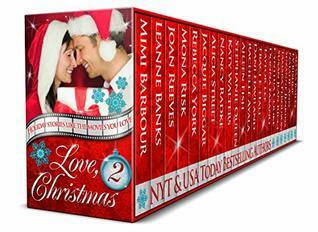 Love, Christmas - Movies You Love by Multiple Authors, Including Ev Bishop! by Ev Bishop, Mimi Barbour & MORE! Sprinkle a little Christmas magic into your life with 26 ALL-NEW, never before released romances. Each title - exclusive to this set - is inspired by a favorite holiday movie, spun into a fantastic love story by a NY Times, USA Today, and/or award-winning, bestselling author and delivered to you in this wonderful collection full of cheer for the coming season. Mimi Barbour – A Wonderful Life - Though Mary works with troubled teens, can she and an angel help a man living a nightmare? Joan Reeves – Brianna’s Season For Miracles - Her seductive persona hides what she's ashamed of... What will happen if the man she's fallen for discovers her secret? Aileen Fish – Almost Christmas in Connecticut - Can a wounded warrior learn to trust her celebrity chef crush after discovering his secret? Pass the Mistletoe, please! The sweetness of sugarplums, the spice of ginger cookies and magic of the season come alive in 26 distinct voices in LOVE, CHRISTMAS 2– MOVIES YOU LOVE! These talented authors took a movie title and turned it into their own candy cane-sweet twist on love and romance! Prepare to laugh, to sigh, to feel each emotion these characters do as the season becomes miraculously and heart-warmingly magical! From dogsleds to snowmobiles, bed and breakfasts to ski resorts, or even a rundown apartment building, love is in the air and even Scrooge will be left smiling! Did I have a favorite or twenty-six? Yes, yes I did! From the heartwarming historical tale to the single mom who wouldn’t let the shabby apartment building ruin her holiday joy, to the healing of two souls lost in their own pain, happy endings can be unwrapped story after story! Nibble on one story at a time, or indulge in the entire anthology at once! It’s beginning to look like Christmas and love is in the air and don’t forget, you can never go wrong with a gift of great reading! For lovers of A Charlie Brown Christmas, Ev Bishop's A SHARLA BROWN CHRISTMAS is a fun, sweet tale of two parents, alone, who find one thing they have in common is less than romantic, but Sharla's efforts to give her apartment complex a sense of closeness and her young child happy memories are simply delightful, especially when she discovers her "slum lord" is nothing like what she imagined and she knew him all along! 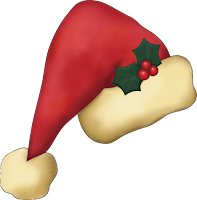 Pass the Mistletoe, please! I received a complimentary ARC edition from Ev Bishop!